I came to this book wondering if it could live up to the glory of Wolf Hall. In short: it does. It took me a few pages, but then I was drawn back into the story and Cromwell's world and it was as if I had never been away. What I love about this tale is the way it tells a well-known event in such a fresh way. Part of that is using Cromwell as the narrator. Reading Wolf Hall made me go out and buy a biography about Cromwell; I was that interested in him after reading the novel. It is great to see him back here as the story becomes darker in the events leading to Anne's fall from grace. At times there is a slightly archaic feel to Mantel's prose, which I think really helps ground the reader in the period. There is some wonderful historical detail, and beautiful descriptive passages that are absolutely captivating. I was sad to reach the last page, but I was happy at the hint in the Author's Note that Cromwell's story may well continue in another book. I really do hope Mantel will continue through to the end of his tale. 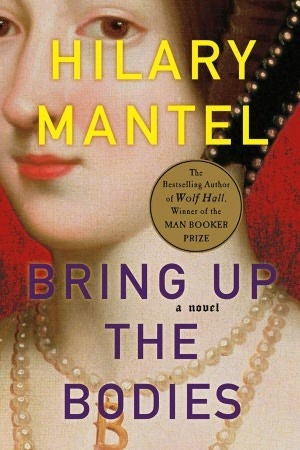 Wolf Hall and Bring Up the Bodies are a must for any fan of historical fiction. Want to hear an excerpt from the audio book? Of course you do! All you need to do is follow THIS LINK.